Special Containment Procedures: Area 2366 is to be surrounded by a security fence, and subjected to regular herbicide treatment. Mobile Task Force Theta-4 ("Gardeners") is to maintain a cover story for containment (premised on a variant of Dutch Elm disease), and to observe the local Mennonite community for anomalous behaviour. Agents stationed at Area 2366 are advised to remain alert to the dangers of local coyote populations affected by SCP-2366. All samples of SCP-2366 are to be held at Storage Location 73-E, an automated warehouse in the Texas desert. Any new instances of SCP-2366 are to be removed and sent to Storage Location 73-E. Recovery of any instances currently not in containment is considered a priority. Description: SCP-2366 denotes an anomalous species of deciduous hardwood tree, together with its wood. 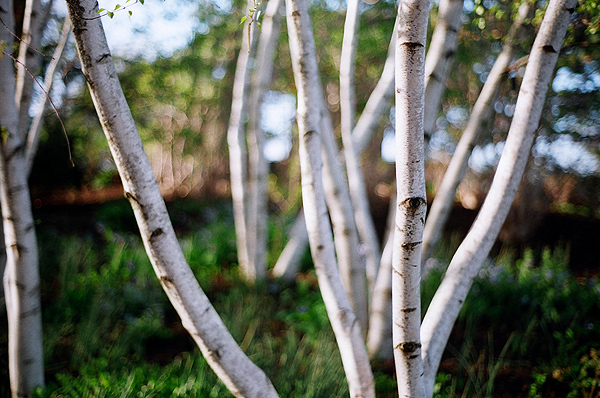 SCP-2366 trees resemble birch (genus Betula) in both outward appearance and genetic composition. Within its area of effect (approximately 25m in diameter from any SCP-2366 item), SCP-2366 promotes cooperative and collaborative behaviour. When exposed to SCP-2366, groups of organisms of the same species will work together to achieve mutual goals; the degree of cooperation and the benefits of such behaviour increase in proportion to the complexity of the species' social structure. Procedure: Six unrelated chimpanzees were given separate pieces of a wooden puzzle. When fit together correctly, the pieces would form a key to unlock a glass case containing a food reward. The test groups were given puzzle pieces made of SCP-2366. Observations: Test groups solved the puzzle and obtained the reward an average of 5 times more quickly than control groups. Researchers observed that all animals in the test groups were focused on the puzzle, with no animals excluded or subject to dominance displays. Procedure: Groups of D-Class personnel were given a series of tasks to complete (each requiring a cooperative approach), with the offer of one month's exemption from testing duty for the whole group if the tasks were completed within a time limit. Wooden badges made of SCP-2366 were given to the test groups. Observations: Test groups successfully completed the tasks an average of 15 times more quickly than control groups. Linguistic analysis of recordings suggest that test group members were statistically more likely to use inclusive language, and to encourage open suggestions on problem-solving, even amongst groups of D-Class who had not previously met. Notes: Several variations of this test were run, with none or only some of the test subjects informed of the reward for completion of the tasks. Results suggest that the effects of SCP-2366 depend on the group having a common motivation or goal, and that SCP-2366 increases the level of cooperation towards that goal, rather than promoting cooperation where none otherwise exists. Procedure: In order to study SCP-2366's effects on more complex collaborative tasks, researchers filmed two games of basketball between teams of D-Class personnel. Game One was used as a control, with both teams given badges of ordinary wood to wear. In Game Two, one team was given badges made of SCP-2366. Film of the two games was analysed for comparison purposes. Observations: Tactics, teamwork and communication were evident in Game Two to a significantly higher degree. However, this was exhibited by both teams, rather than only the team wearing SCP-2366. This suggests that, while SCP-2366 can influence performance of complex and fluid tasks, the area of SCP-2366's effect would make it inappropriate for competitive activity where opposing teams operate at close quarters. Procedure: This experiment was designed to test the effects of long-term exposure to SCP-2366 without a pre-determined collaborative goal. A group of ten D-Class personnel were given SCP-2366 badges and held in a Site-73 dormitory. No instructions or tasks were given to the group. Notes: Experiment abandoned. After 48 hours of apparent inactivity, the D-Class personnel commenced an escape attempt relying on a sequence of coordinated actions to incapacitate dormitory guards and evade automated surveillance. Site-73 security officers were alerted and deployed to the Class-D wing, recapturing all D-Class personnel over a four-hour period. Security personnel were commended for exceptional performance and teamwork in response to this incident. Recovery: SCP-2366 was discovered following the Foundation's investigation of a viral video appearing to show a Mennonite barn-raising performed in an extremely coordinated and rapid manner.1 Undercover Foundation agents travelled to the Old Order Mennonite community in ███████████, Pennsylvania and observed that the local farms appeared to be operating with unusual efficiency. The agents learned that the community had constructed the barn, as well as household items, using a particular type of wood. Items constructed of such wood had also formed part of the community's regular trading activity. The wood was identified as being sourced from a local stand of birch trees (subsequently designated Area 2366). Botanical analysis from Area 2366 indicated a unique species of birch. 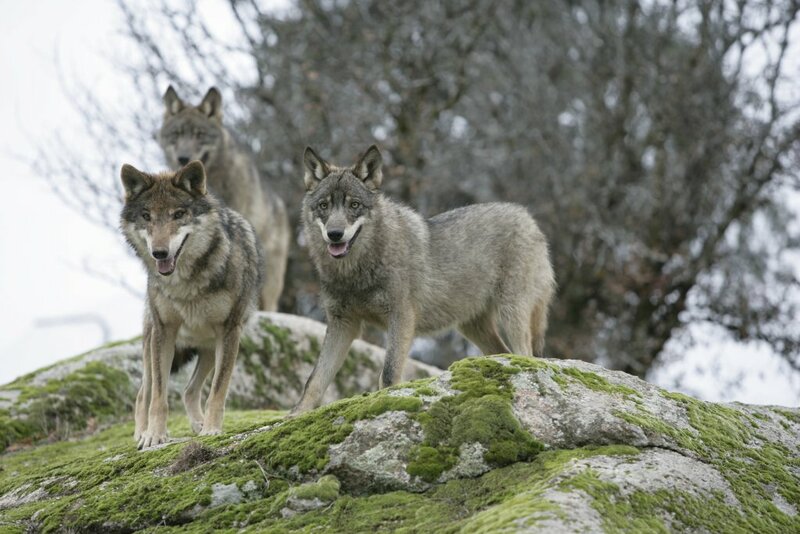 Initial efforts to identify SCP-2366 trees were hampered by a series of attacks on Foundation agents by packs of coyotes displaying complex and organised hunting techniques. The local Mennonite community were aware of the risk of such attacks, and shared with undercover agents their strategies for groups working in Area 2366 to avoid or repel such attacks. These strategies were found to be effective. Atypical coyote behaviour has ceased with the removal of SCP-2366 instances from Area 2366. After tagging live specimens of SCP-2366 for logging, the Foundation attempted to identify all items constructed of SCP-2366 by the Mennonite community. These items were recovered, including tracing (where possible) pre-made and bespoke items sold or traded to tourists or visitors - the owners were amnesticized as necessary. Initial on-site containment protocols were then established, and all samples of SCP-2366 wood were sent to Site-73 for containment and testing. 2366-A 4,000kg refined and unrefined birch timber (including branches and roots). Held at Storage Location 73-E.
2366-B Assorted wooden fittings, furniture and toys - approximately 400 items. Held at Storage Location 73-E.
2366-C Dried birch bark - approximately 100kg. Held at Storage Location 73-E, for potential testing as a writing surface. 2366-D Tea, homemade aspirin and other traditional remedies derived from birch bark. Held at Storage Location 73-E. Investigations continue into distribution by Mennonite community. 2366-E Wooden puzzle pieces and badges constructed for testing purposes. Held at Storage Location 73-E.
2366-F A 40cm solid birchwood conductor's baton, with the inscription "tous ensemble au Golgotha". Identity of the person or group that commissioned the item, and any connection to SCP-012, is under investigation. Our people have arrived at the base of the sacred mountain. We gather many armfuls of birch bark for tinder, and build a great fire. The smoke from the fire blows in every direction, and all of the other tribes see it and gather together. There is no conflict or rivalry - all of the people join in a great ceremony. We are all dancing and singing together a song to [the Supreme Being] Mishe Moneto. It is not clear whether this story is intended as the legend of a historical event, or as a prophecy of the future. Item 2366-F reported stolen from Storage Location 73-E. Current location unknown. 1. No action was considered necessary to suppress the video itself, which was "debunked" and faded from public awareness 8 weeks after initial circulation.